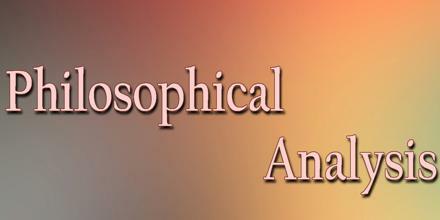 Philosophical Analysis is a general term for techniques, which typically used by philosophers. It differ from the results of scientific investigation in being conceptual analyses. It is a philosophical method in which language and experience are analysed in an attempt to provide new insights into various philosophical problems. It focus on analyzing linguistic phenomena, such as sentences, while others focus on psychological phenomena, such as sense data.